The Amateur Radio station located in the Columbus module aboard the International Space Station is now active on AX.25 packet radio at 437.550 MHz. 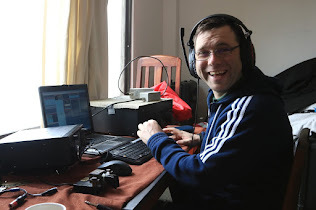 To utilize the the packet system, operators need to set their TNC UNPROTO paths to ARISS for digipeating, or they can connect to the packet BBS using the call sign RS0ISS-1. The packet beacon is set to transmit at 2 minute intervals. Click here to see the current position of the space station in real time. You can also obtain pass predictions online from AMSAT-NA.